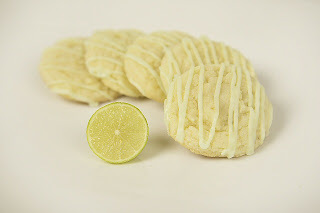 Vanilla Key Lime Cookies . You see, we have this food site Foodista.com (http://www.foodista.com) that is a food and cooking encyclopedia that everyone and anyone can edit. Maybe you are interested in sharing some of recipes to us or share your knowledge about food stuffs and techniques, or maybe you just like to write reviews about food, restaurant and recipes...why don't you visit us sometimes, if its food you're interested in, then we are interested in you. Don't hesitate to check us out. These sound delicious! I love love love all things lime. After finally getting Key Lime Pie right, I think it is time to branch out and give these a bash.